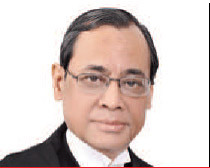 Notwithstanding the controversial nature of the move, I am of the view that the nation needs to be grateful to the Supreme Court's four senior-most judges-Justices Jasti Chelameswar, Rajan Gogoi (in line to be CJI in October, by which time Chelameswar will have retired), Madan B Lokur and Kurien Joseph- for bringing into public focus certain critical issues which have a bearing on the independent functioning of the judiciary and citizens' faith in the system. The judges' voices of dissent are not issues of trade unionism, indiscipline or of "political conspiracy" as a senior RSS leader sees it. The protests were prompted by certain principles of justice in the face of what the top four judges thought to be serious infirmities and irregularities in administration and assigning of cases (by the Chief Justice of India) for hearing to the benches in the Apex Court. "It is unlikely that men and women will ever cease to wound, cheat and damage each other. There will always be a need for Judges to resolve disputes in an orderly manner. As people grow even less willing to accept unreservedly the demands of authority, the judiciary, like other public institutions, will be subjected to a growing amount of critical analysis. The way in which 'Judge & Co' is run is a matter of public interest and will increasingly become a matter of public debate". rational basis for such assignment". Traditionally camera shy, the judges said they were forced to hold the press conference, a first of its kind, because the letter the judges had sent to CJI two months ago had gone unanswered. We do not yet know why the Chief Justice was unresponsive and reportedly turned down the last minute request by the seniormost judges to shift a politically sensitive case from a particular bench. The four judges – all members of the Collegium by virtue of being No. 2 to No. 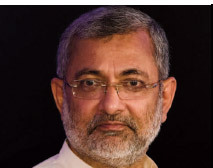 5 in seniority – thought that a matter of importance to the integrity of the judiciary and to the nation should be assigned to a bench headed by a judge who is senior to Justice Arun Mishra, who is 10th in the pecking order of the 25- member Supreme Court. Moreover, the well-established norm in the jurisprudence of the country is that "the Chief Justice is only the first among the equals". 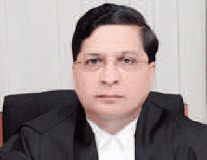 Chief Justice Dipak Misra known. I appreciate the sentiments expressed by Justice Chelameswar at the media meet. He said, "Twenty years later, wise men shouldn't say that we sold our souls". In this context, it may be worthwhile recalling the views of an eminent former judge of the Supreme Court, Justice V D Tuzapurkar. He said that "sycophantic Chief Justices" were a threat to the independence of the judiciary because they could easily pack the court or withdraw cases from one bench to another. 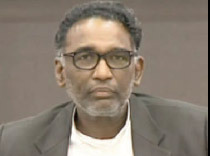 Justice Jasti Chelameswar The Chief Justice of India is supposed to be the master of the roster. This has been the pattern of CJI working for decades. His power to constitute benches for "important judgments" has surely a bearing on the larger interests of society and the working of India's democratic polity. Justice Rajan Gogoi In the past 20 years, as many as 15 "super sensitive" cases are said to have been assigned to junior SC judges. In any case, there is no reason why the existing system cannot be changed or reformed to bring more transparency in the working of the judiciary. It is, of course, for the highest court of the land to look within and decide its future course of action. 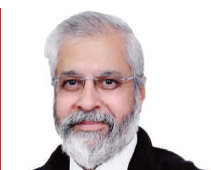 Justice Madan B Lokur A selective approach will not help improve matters. Here it may be worth recalling the observations of a distinguished British Queen's Counsel, David Pannick well recorded in his book "Judges" (1987) which broadly reflects the concerns which also often bother us about the Indian judicial system. Justice Kurien Joseph "English 'Judges' have every reason to be proud of the quality of their performance and no reason to fear more extensive public knowledge and assessment of their work. Nevertheless, these are aspects of judicial administration, appointment, training, discipline, criticism, mysticism and publicity – which hinder or detract from their ability to serve society. "We need judges who are trained for the job, whose conduct can be freely criticised and is subject to investigation by a Judicial Performance Commission; Judges who abandon wigs, gowns and unnecessary linguistic legalism; Judges who welcome rather than shun publicity for their activities. "It is unlikely that men and women will ever cease to wound, cheat and damage each other. There will always be a need for Judges to resolve disputes in an orderly manner. As people grow even less willing to accept unreservedly the demands of authority, the judiciary, like other public institutions, will be subjected to a growing amount of critical analysis. The way in which 'Judge & Co' is run is a matter of public interest and will increasingly become a matter of public debate". Debate or no debate, an independent, transparent and accountable judiciary is the best safeguard of citizens' rights in a democracy. At stake is the image and credibility of the judiciary. A lot depends on how the CJI reacts and acts, keeping in view the fact that in a democratic system, institutions are bigger than individuals. One wrong step may not only give sanctity to a wrong act but also damage the institutional reputation of the judiciary and affect its standing in the public eye. Attorney General of India K K Venugopal and Bar Council of India Chairman Manan Mishra have claimed that "the crisis has blown over", but it looks like "an uneasy truce" amidst "exchange of pleasantries" when all judges met as usual over tea on Monday morning (January 15). It is also claimed that the "ice has started melting" after a meeting of the Chief Justice with the four judges on Tuesday (January 16). Well, we have to keep our fingers crossed and hope for the best ! Be that as it may. We all are under watch: the administration, the judiciary, the Bar and even the media. Each organ has to conduct itself with determination, dignity and sobriety, not only for the sake of survival of democracy but also for the legacy it leaves for the Generations Next. What also needs to be kept in mind, as enshrined in holy books and scriptures, is that there is a divine court above which expects transparency and fair play in justice and the enforcement of judicial ethics and accountability!